You can only work with what you have! 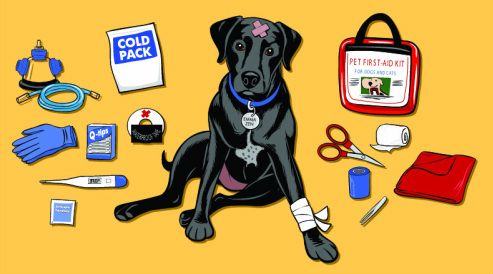 While you may purchase a pet first aid kit and then add to them. We suggest building a kit of your own. Print the list and then add one item to it every time you go to the store! In no time at all you will have and be familiar with each item in your kit. as the items in your kit are only as good as your knowledge to use them! 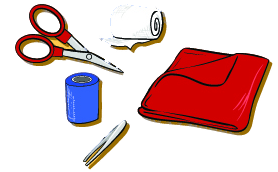 Below is a list of items we suggest for a basic kit. I have been able to supply and fill my own personal kit from the local drug store, pet warehouses, horse and livestock centers, local fish store and online purchases. Confidence comes from knowing you are using the right product and techniques. Disclaimer; Items with an asterisk (*) show a brand name that most of the general public are familiar with. We did this to give you a connection to the proper names associated with such brands. However we are not doctors of veterinarian medicines and are in not recommending these as names in particular, please ask your veterinarian for a medical consultation.